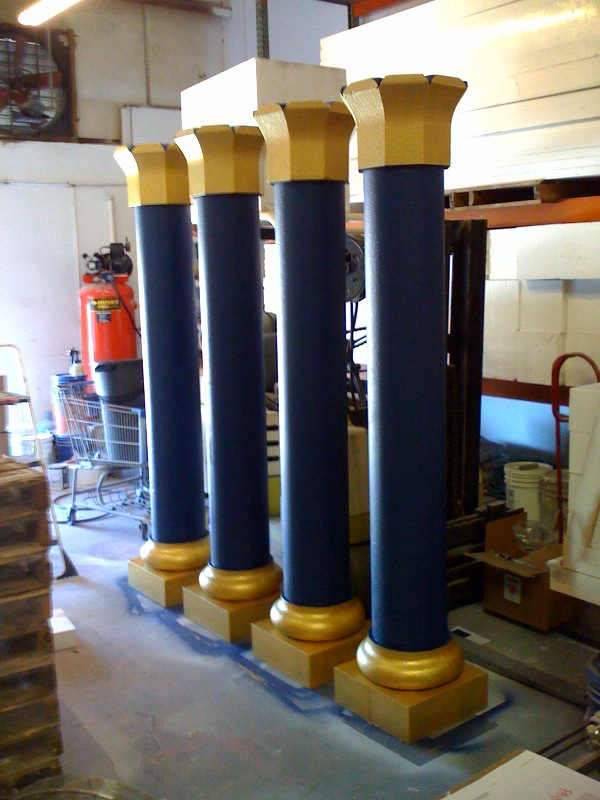 Egyptian Column Prop - Dino Rentos Studios, INC. This Egyptian foam column prop is 8 feet tall and ready to use right out of the box. Painted Foam Only version available! Great for temporary use! For indoor use. Contact us for details and pricing on upgrades available for outdoor use. Not meant to be used as a structural piece. To be used for decorative purposes only. Ships via freight. Shipping costs are not included. We will contact you with the best way to ship these along with the freight costs to be paid separately. You can also call for a freight estimate.